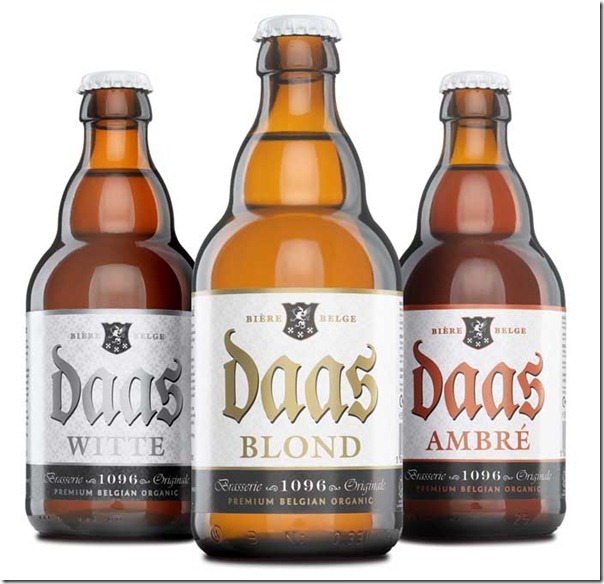 I first came across Daas Beer at a food festival in 2010 and bought myself a sample set of their white, blond and amber beers. Daas is a young business, just over 5 years old, but brew their beers in Belgium according to methods and traditions honed over centuries. The company is run by the charming Steve Sailopal, who is rightly proud of the awards Daas Beer have already won. The most recent of these was awarded by the Free From Food Awards 2012, in which Daas’ Ambre won first place in the Gluten Free Beer category. Daas Blond was also highly commended in the same category. All three Daas beers are organic, indeed they are the first and only Belgian brewed beers to be certified as such by the Soil Association UK (as well as the Belgian Certisys scheme). The Blond and Ambre are now de-glutenised using a carefully-developed process of extraction which removes the gluten whilst ensuring the full flavour of good quality hops and malted barley remains. In a recent blind taste test, consumers were not able to tell the difference between gluten and gluten-free versions. Steve is pleased that some of the judges for the Free From Food Awards were CAMRA members, as this can only continue to help change the perception of gluten-free beers. Offering a product that uses hops and malted barley rather than rice, corn or sorghum, which are found in some gluten-free beers, is key to delivering a taste that appeals to all consumers, whether they need to avoid gluten in their diet or not. Win a mixed case of 12 bottles of Daas Beers. 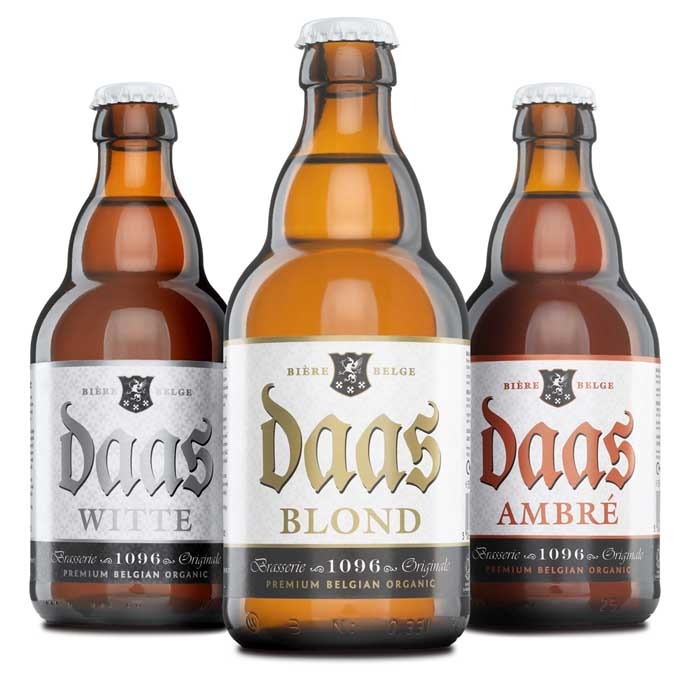 The case will contain 4 each of Daas Ambre (organic gluten-free), Daas Blond (organic gluten-free) and Daas Witte (organic) but should you prefer a different combination, that’s fine. Delivery to any UK mainland address is also included. You can enter the competition in 2 ways. What dish or meal would you match to Daas’ Ambre? First follow both @Daas_Beer and @PeteDrinks accounts. Existing followers are, of course, welcome to enter! The deadline for entries is midnight GMT 9th June 2012. The prize is a mixed case of 12 bottles of Daas Beer and includes delivery to a UK mainland address only. The prize is offered directly by Daas Beer. For twitter entries, winners must be following both @Daas_Beer and @PeteDrinks at the time of notification, as this will be sent by Direct Message. Blog comment entries must provide an email address for contacting the winner. The winners will be notified by email or twitter. If no response is received within 7 days of notification, the prize will be forfeit and a new winner will be picked and contacted. I would use one bottle to make a steak & ale casserole – makes the gravy lovely and tasty. Flour and then brown the meat, add carrots & mushrooms, worcester sauce and the beer, then cover and simmer for a couple of hours. Serve with green beans and either mashed or jacket potato and a lovely cold glass of Daas Ambre – delicious. Given that it has notes of caramel and orange, I think (and don’t need much encouragement) a pudding match may work well – maybe a bitter chocolate orange mousse/torte/cake thing … Getting hungry now! I would match the amber with a big bowl of spaghetti bolognese. I’d go for the classic combo of a Beer and a Burger – home made gourmet burgers, of course! I’d use the beer to make a variation on beef carbonade, and the beer would also go lovely with that dish I think! I would do a Daas Ambre and hop brined pork loin, roasted with a malt crust, served with red cabbage, hop cured bacon and roast garlic mash potato. I would make a malt loaf bread and butter pudding with vanilla Icecream with a Daas Ambre Jelly ripple. I think I would try a bottle of Daas Ambre with a really nice meaty beef burger, one with some mushrooms and swiss cheese in a Ciabatta roll. I think the sweetness of the beer will work nicely with the meatiness of the burger. Chips..Covered in Kebab Meat, Lettuce and Mayo! YUM. I’d pair it with moules frites. Maybe even try cooking the moules in the beer! mm grilled fish on a barbeque… with a garlic sauce…. and french fries on the side! I would make home made fish and chips with mushy peas, using the beer for the batter mix as well as drinking it with the meal too! I’d use one in a lovely steak and ale pie and have another to drink while I made it! Congratulations to our winner, Beaker! Your beer will soon be on it’s way to you! This competition is now closed. Thanks to all of you who entered.